The battle for votes in the 2019 elections is well under way and the Democratic Alliance (DA) in Gauteng has vowed to ensure that the African National Congress (ANC) regrets not scrapping controversial e-tolls. Addressing supporters, Gauteng premier candidate and Tshwane Mayor Solly Msimanga said Premier David Makhura and his party would regret it. Msimanga handed a petition of more than 50 000 signatures to Makhura's advisor, Eric Xayiya, and said that the premier would discontinue the e-tolls system if he and his party cared about the people of Gauteng. "Makhura is taking us for fools. He tweeted earlier that we are a joke. It should be recorded that he thinks the people of Gauteng are a joke. When people of Gauteng lose their jobs, he thinks they are a joke. 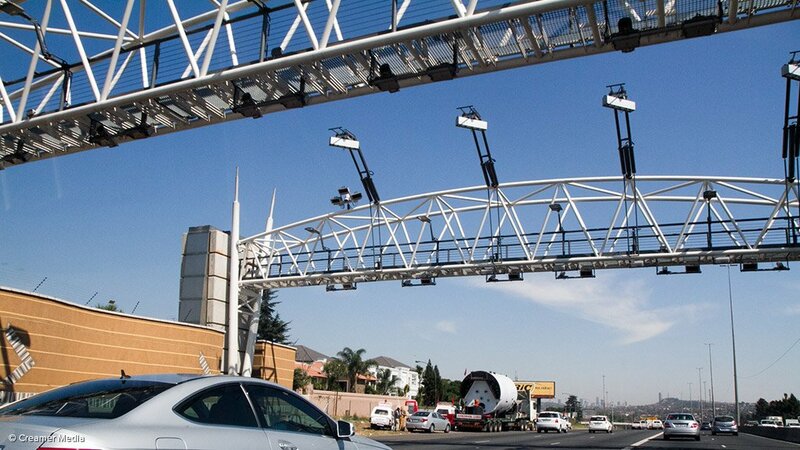 "When people of Gauteng are threatened by e-tolls, he thinks they are a joke." He accused Makhura and the ANC of speaking in forked tongues and added that deputy chairperson of the ANC in Gauteng, Panyaza Lesufi, said they would find an alternative method of paying for e-tolls in the next six months. However, this was not the view of Transport Minister Blade Nzimande, he said. "Nzimande said e-tolls are here to stay. The ANC will suffer the same defeat they suffered in 2016 when we took their metros. They have gone corrupt. Instead of getting rid of those who collapsed the health system, those who bankrupted municipalities, the ANC rewards them with better positions. "Makhura, we are coming for you. The people of Gauteng are not stupid. They see what you are," he warned. Msimanga urged the premier to tell Finance Minister Tito Mboweni and Nzimande not to renew the e-tolls contract, saying South Africans were paying an Austrian company millions and millions of rands to monitor the e-tolls. He vowed to make things difficult for Makhura when he conducted door-to-door campaigns because the DA would have informed people that Makhura said they were jokes. "Service delivery must take centre stage. Makhura, you are not taking the people of Gauteng seriously when they demand services. You are only serious when you want their votes," he said. In response, ANC spokesperson Tasneem Motara lashed out at the DA, saying it was desperately trying to divert attention away from governance failures under Msimanga. Motara added that the City of Tshwane was crumbling due to maladministration and corruption. She said the ANC was assisting the government to find an alternative funding model that would be acceptable to the people of Gauteng. "We welcome all structures and organisations who are joining our call to have e-tolls scraped. We, however, think that the DA is campaigning in Gauteng." "The ANC Gauteng province has unequivocally expressed itself on the e-tolls matter – that the system in its form does not form part of the future of the Gauteng province. The ANC understands which decisions need to be taken and at what level to resolve this matter once and for all," Motara said.